A versatile performer of both contemporary as well as traditional repertoire, Imri Talgam has played throughout the world. His recent appearances include venues such as Théâtre des Bouffes du Nord, Salle Pleyel, KKL Lucerne, Alice Tully hall and Kiev’s Ukraine Palace, both as soloist and in collaboration with ensembles and chamber groups, including among others Ensemble Modern, the Israeli Contemporary players, Novus ensemble and the Croatian Radio-Television orchestra. Talgam is the winner of the 11th Concours International de Piano d’Orléans, in which he received 1st prize, as well as the Denisov prize and the Claude Helffer prize. Following the competition, Talgam has toured widely in France, Russia and Argentina, performing recitals combining both contemporary works and traditional ones. Talgam’s playing has been featured in broadcasts by the Israeli radio company, as well as by the Deutchlandfunk Cologne. Most recently, his debut CD of works by Nancarrow, Kagel, Stockhausen and Furrer was released by Solstice to great critical acclaim. During 2016, Talgam will be artist-in-residence at the Royaumont foundation. 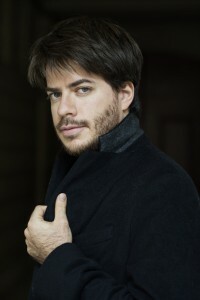 After graduating from the Tel-Aviv University in the class of Emanuel Krasovsky, Talgam studied with Matti Raekallio at the Hochschule für Musik und Theater Hannover. His studies (M.Mus) concluded with Raekallio and Robert McDonald at the Juilliard School of music in 2012. During 2012/13, Talgam has performed as pianist of the Ensemble Modern Academy in Frankfurt. Along with his musical activities, he has studied Philosophy in both the Tel-Aviv University and Columbia University. As of 2013, Talgam pursues a doctoral degree at the City University of New York under Ursula Oppens and Matti Raekallio alongside his international concert tours.